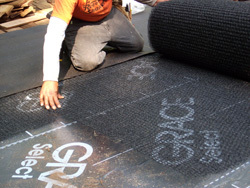 Driwall CDR Vent is a 0.30-inch-thick drainage and ventilation mat. 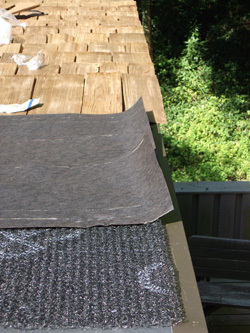 It is designed to eliminate moisture and moisture vapor in roofing and siding applications. The product is produced from an extruded polymer matrix of tangled monofilaments, which are heat-welded at the junctions to form a structure that spaces roofing and siding away from the inner sheathing. Driwall CDR Vent is useful in cedar shingle/shake roofing and siding in which a clean airspace is desired for ventilation and drainage. Learn more about Driwall CDR Vent.